At Sentry Pacific Financial Group, LLC, helping you meet your financial needs is our first priority. It’s our responsibility to evaluate and assess your financial situation and only make suitable recommendations, and we do so with integrity and transparency. 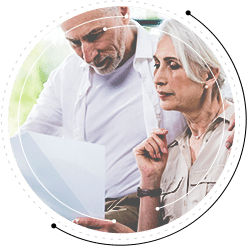 We are proud to operate as an independent Registered Investment Advisor, providing unbiased wealth management and retirement plan consulting services to a select group of individual families and institutions. By integrating and leveraging our combined resources, knowledge and experience, Sentry Pacific can provide the best solution to clients, regardless of their size or location. We believe our clients join us because of our reputation as an objective and trusted advisory firm, and they stay with us because we exceed their service expectations and effectively help them work toward their goals. Our objectivity means that our recommendations are based on one thing — what we believe is best for our clients.